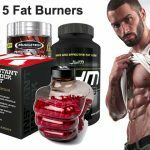 Shred JYM Review - Do These Ingredients Turbo Charge Fat Loss? Branded as a “Fully Loaded Fat-Loss Weapon” we were excited to get our hands on and review Shred JYM. 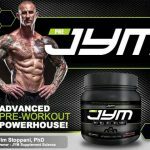 You have probably already heard of Jim Stoppani and his company JYM Supplement Science. Jim Stoppani is both a bodybuilder and a doctor in exercise physiology. 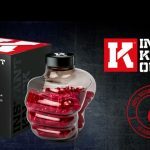 He is a big believer in non-proprietary blends and science backed natural ingredients which sounds good to us; but how effective is this particular fat burner? Jim Stoppani has a strong dislike of proprietary blends and so it’s no surprise that this is a non-proprietary blend. We can see all 6 ingredient listed on the label and the exact amounts; we always like this kind of transparency and you should too. Straight away we see some highly effective ingredients namely the two thermogenic fat burners green tea and cayenne pepper. These have both been clinically proven to support fat loss. In addition they have included Caffeine and L-Carnitine which should help with your energy levels, boost your metabolism and promote the burning of more calories and fat. Although the 200mg dose of caffeine is quite high on top of the other stimulants included. You may get some jitters and light-headedness depending on your tolerance. L-Tyrosine has also been added in there for some mental focus which is a nice touch. On the negative side it contains Synephrine a compound that was believed to help promote fat loss and energy. However the studies have shown very little evidence of this. Although it has been linked to various unwanted side effects including increased blood pressure and headaches. We can see there is no dedicated appetite suppression in there either. They could have included some kind of high fiber nutrient could have certainly made this a more well-rounded weight loss supplement. This is a fairly good choice, L-Carnitine is an amino acid that may help you with fat loss. Various studies have shown that it can boost energy and metabolism in your body and may also improve focus. This is a great option for keeping you energized whilst exercising in the gym helping you burn more calories. 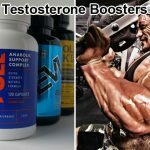 The optimal dosage used in studies was found to be 500 – 2500mg and Shred JYM comes in at 1500mg so you should hopefully see some benefit. Although this doesn’t do much for fat loss it is one of the better choices when it comes to cognition. This amino acid works as an anti-stressor. Meaning it can help reduce overall levels of the stress hormone cortisol within your body. By reducing your overall stress levels, L-Tyrosine can help you concentrate and focus more whilst training in the gym making it a more productive experience. So although it doesn’t really help you burn fat directly it is a good supporting nutrient. One of the best natural thermogenic fat burners you can find on the market. Green tea is loaded with antioxidants known as catechins, these catechins help to release the fat burning hormone norepinephrine in your body. The more norepinephrine you have in your system the more fat you will burn naturally. Effectively you are increasing the amount of calories and fat you burn with no extra effort. Green tea also contains L-Theanine which helps with mental focus and it contains caffeine which of course keeps your energy levels high. This is a great addition to this product. This is a very good addition, caffeine is one of the best natural stimulants available. There are multiple benefits here. Studies have shown that supplementation with caffeine will help boost energy levels, mental focus, metabolism and even improve power output. It’s ideal if you are on a low calorie diet and you need to ensure your energy levels are high. It is also great for speeding up your metabolism and burning extra calories. A great choice this will make a solid impact to your fat burning goals. This potent natural thermogenic is another good choice. Cayenne Pepper is an effective fat burning nutrient due to its heat. Once absorbed this hot chilli pepper helps raise your body’s core temperature. In response your body begins to cool itself down. By doing so it uses up more energy, calories and fat than it would normally do. This is great because it requires no extra effort on your part. There are also some studies suggesting that it has some mild appetite suppressant qualities. Bad choice for a fat burner. This is a highly ineffective ingredient with potential side effects. 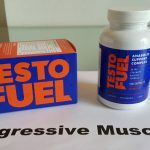 Supposedly this nutrient is meant to promote energy and fat loss, but all the studies involving humans have shown that it doesn’t have much of an effect. The worst part is that numerous users have reported side effects taking synephrine especially when used in conjunction with caffeine. This really isn’t your best option when it comes to fat loss and it’s potentially dangerous. One serving is 4 capsules. Take 2-3 servings per day, take the first serving upon waking in the morning. Those sensitive to caffeine should not take 6 hours before bedtime. Although this is a fairly effective dosage schedule, you are in fat burning mode most of the day if you take it 3 times a day. However this is about 600mg of caffeine a day which is on the high side especially if you have a low tolerance to caffeine (see side effects below). Not only that but 12 capsules a day is an inconvenient dosage. Some people have had an issue with stomach upset when taking green tea extract on an empty stomach so it is recommended for them to consume with food. 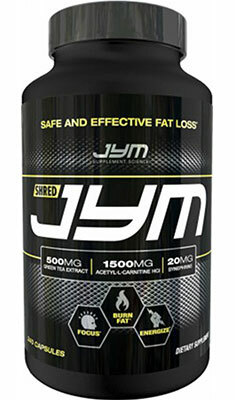 Shred JYM contains synephrine which is taken from bitter orange extract. Reports have shown that supplementing with synephrine can lead to side effects especially when it is combined with caffeine. Obviously this is not something you want when you are trying to burn fat. In addition if you take the full 3 servings a day then you are consuming 600mg of caffeine which means you are likely to experience some side effects. These include insomnia, headaches, nausea, raised blood pressure, raised heart pressure and jitters. 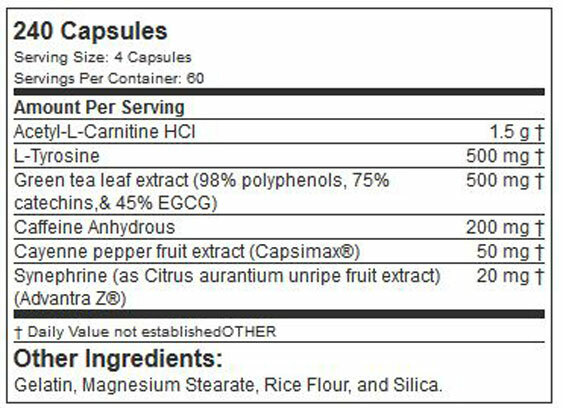 No surprise with a Jim Stoppani product, this formula has every ingredient listed with the corresponding amounts. You can see exactly what you are taking and how effective it will be overall. Green tea and Cayenne pepper are two of our top nutrients for thermogenic fat burning. They force your body into fat burning mode without any extra effort on your part. With caffeine anhydrous, L-Carnitine and caffeine from the green tea you will definitely get a big boost to your energy levels. This is ideal if you are on a low calorie diet and energy levels are low. But it also helps you exercise with more intensity helping to burn more calories and burn the fat. Jim Stoppani’s company JYM Supplement Science is well respected in the industry with a loyal and dedicated customer base. Their use of all natural ingredients and non-proprietary blends is definitely a plus point. You can be sure the quality of his products are of high quality. The formula really does lack any kind of appetite suppression. Something like Glucomannan, a dietary fiber, could have gone a long way to making it a more complete fat burner. It is true that the cayenne pepper has mild appetite suppression but it’s not really enough to fill this role. In clinical trials this ingredient found in bitter orange extract has been shown to cause high blood pressure especially when combined with caffeine. Of course this is a definite negative. Unless you live the United States it is very difficult to get hold of. 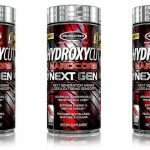 While BodyBuilding.com will ship internationally, delivery can take up to 20 days with. The only other place to buy this product is GNC who do not ship internationally. If you take 3 servings a day then you are consuming 600mg of caffeine a day. We recommend that you try to consume no more than 400mg a day or risk having unwanted side effects associated with caffeine. But this of course depends on your tolerance. What are people saying about Shred JYM? Most of the reviews we have found have been mainly on the positive side but they come with mixed results. Most reviews can be found either on BB.Com and GNC which is where this product is exclusively sold. Many state that it really helped them with their energy levels, but it was a pain to take 12 capsules a day which is the amount if you take 3 servings a day. Although some people seem to be losing weight there are some who are not getting any results at all with this product. With some going as far as saying that the pills they got were placebos. 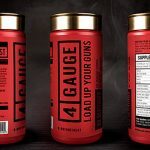 Unfortunately a lot of the feedback given goes little into the details of the product and is more a glowing fan boy report of Jim Stoppani himself. This fat burner actually turns out to be quite expensive if you take 3 servings a day. This equates to 12 pills a day which actually works out at $53 a month if you are purchasing the 240 capsules bottle at $35 from BodyBuilding.com. So on the face of it, it is not as good value as it first seems. 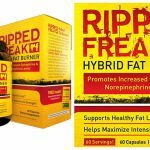 Overall this is a fairly decent fat burner but it comes with an ingredient formula that lacks appetite regulation. Good for energy and some focus but it could do with more nutrients that promote fat burning and boosting metabolism. Certainly they should take out the Synephrine which is ineffective for energy and fat loss whilst also having the potential to cause you unwanted side effects. We say close but no cigar; this is not the best fat burner we have come across, but it is still a nice effort.